When John Nanci started his blog, Chocolate Alchemy, in 2003, he had been told that making craft chocolate at home was impossible. It was too technical, too difficult and there was no affordable equipment. Cacao beans needed to be imported and were not available for retail purchase. Nanci, a retired organic analytical chemist, thought of himself as a problem solver. He saw parallels between craft chocolate making and the craft beer industry. He set out to provide the information, equipment and ingredients people needed to make craft chocolate at home. 14 years later, the bean-to-bar chocolate industry is growing in the United States. The number of public craft chocolate businesses has doubled within the last two years, as 174 are currently in operation. Nanci’s blog, Chocolate Alchemy, has grown into a company with bi-coastal distribution centers that supplied 30 metric tons of cacao beans across the globe last year. Bean-to-bar craft chocolate is a manufacturing process where a bar of chocolate is created directly from the cacao bean. 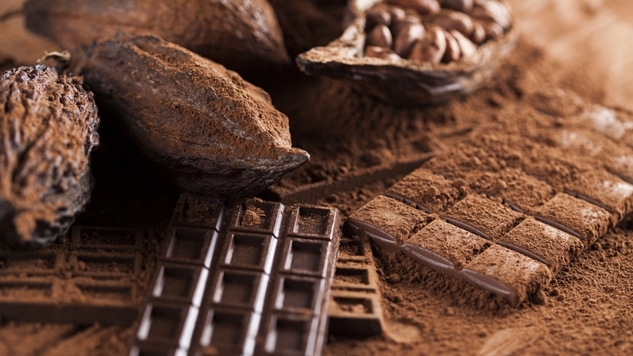 While most commercial chocolate is produced by importing and melting already made chocolate, craft chocolate makers produce the chocolate itself through minimal processing of two or three ingredients: cacao beans, cane sugar and sometimes cocoa butter. The resulting taste is authentic to the particular qualities of the originating bean. Nanci has been described as “one of the most important figures in the American craft chocolate scene.” This is due to the variety and accessibility of beans Chocolate Alchemy provides in both wholesale and retail quantities: their customers are roughly split half-and-half between craft chocolate businesses and individuals making chocolate at home. Customers can purchase beans in amounts between one pound and one metric ton. Nanci relates the growing pains of the bean-to-bar industry to the microbrewing industry—which was completely unheard of in the US until the 1980s. In ten to twenty years, he would like to see bean-to-bar chocolate as ubiquitous in the public sphere as craft beer. “[Craft chocolate] is very strongly about relationships to the farmer,” Nanci says. High quality cacao beans require rainforest conditions to grow, which means that beans must be imported from regions like Honduras, Haiti, Ecuador, and Vietnam. Nanci relies on his relationships to the farms and brokers for beans which do not carry fair trade or organic certifications. He understands, for instance, that some small farms do not have the infrastructure to pay for organic certification, and that only cooperatives, not family-owned farms, are eligible for Fair Trade status.